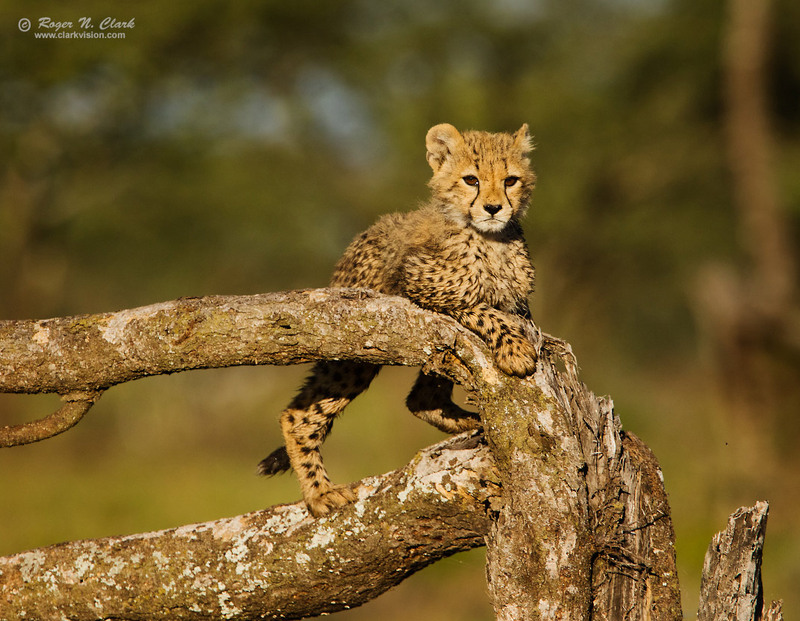 A cheetah cub plays in a tree while mom tries to hunt on the Serengeti just after sunrise, Tanzania, Africa. Technical. Canon 7D Mark II 20-megapixel digital camera and 300 mm f/2.8 L IS II plus 1.4x teleconverter at f/5.6. Exposure 1/3200 second, ISO 400. Slight crop.